CISOs, CSOs, CIOs, Project Managers… Welcome! 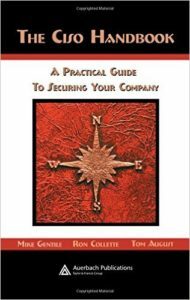 CISOHandbook.com is a resource site for anyone that wants to understand, learn about or develop an information security program, whether a student just entering the information security discipline or a seasoned CISO, CSO or CIO. A place where security executives, managers, and practitioners can share ideas, challenges, and opportunities associated with developing, participating or managing Enterprise Security Programs. The site contains metrics, tools, opinions, and most importantly access to CISO’s, CSO’s, experts, and other professionals in the field of security. The sole intent of the site is to share information, ideas, tips, and techniques for addressing security issues faced by today’s professional. The content of CISOHandbook.com is free to all however, there are some areas that can only be accessed through registering and logging in. Registration is fast, free and easy, so what are you waiting for! The goal is to understand how organizations are measuring their security program today and how they want to measure it moving forward. The CISO Handbook team needs your support to find new ways to serve and educate our clients. 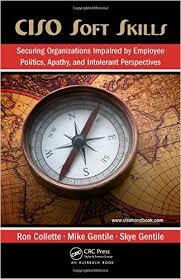 Buy your CISO Handbook and CISO Soft Skills Now on Amazon.